Panasonic recognizes the potential of Alchimer's groundbreaking technology for depositing nanometric films used in IC interconnects and 3D through-silicon vias. Its investment arm, Pansonic Venture Group, recently invested in Alchimer. Midatech Group Ltd., a global leader for the design, development, synthesis and manufacture of nanomedicines, and Immunotope Inc, a biotechnology company focused on the development of immunotherapy products, today announced the formation of a joint venture Syntara LLC, to develop antigen based products for immune therapies to treat chronic viral infections and certain cancers. Market leaders in temperature controlled microscopy, Linkam Scientific Instruments, teams up to supply stages to LC-Vision, suppliers of state-of-the-art turnkey systems for high throughput automated liquid crystal analysis. 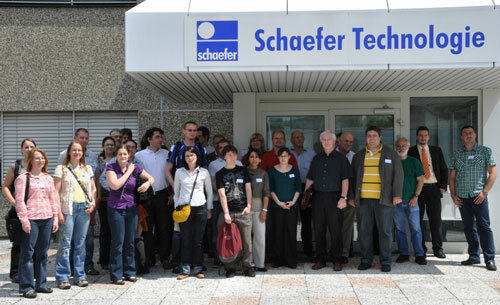 NanoSight, world-leading manufacturers of unique nanoparticle characterization technology, together with distributor partners Schaefer Technologie, have recently held a meeting of users of their successful range of nanoparticle tracking analysis instruments in Langen, Germany. Bayer MaterialScience AG and Holst Centre, an open-innovation initiative by research organizations IMEC (Belgium) and TNO (The Netherlands), have now announced their partnership in the field of flexible electronics. By joining the Holst Centre eco-system, Bayer exchanges its own expertise with the existing network of academic and industrial partners. AIXTRON AG today announced an order for its QXP-8300 ALD deposition tool from a major Taiwanese foundry. The order is for a 300MM system for the deposition of next generation high-k materials by Atomic Layer Deposition (ALD). JA Solar signed a three-year supply agreement for silicon nanoparticle ink from Innovalight for the production of JA Solar's recently announced SECIUM high efficiency solar cells. ASML Holding NV today at SEMICON West announces broad customer adoption of holistic lithography products which optimize semiconductor scanner performance and provide a faster start to chip production. Olympus will be exhibiting two exciting new products designed for research, design and quality assurance applications in the microelectronics and solar industries at the SEMICON West and Intersolar North America exhibitions, being held concurrently at the Moscone Center in San Francisco from July 13-15. Affinity Biosensors and Innovative Micro Technology, Inc. entered into a strategic foundry partnership today for volume production of suspended mass resonator (SMR) MEMS devices enabling particle measurement in fluidic solutions with femtogram resolution. AlphaRx, Inc. announced positive preclinical results of GAI-122 injectable nanoemulsion, a Mitochondria-targeted neuroprotective drug candidate being developed for the treatment of Acute Ischemic Stroke. 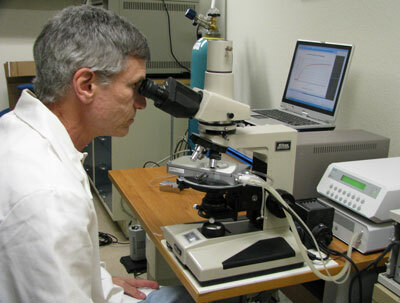 Micro Droplet Systems enable fast and advanced droplet microfluidics. CEA-Leti today announced that it is has opened a complete 300mm fab extension dedicated to 3D-integration applications. Final equipment installations will continue through to the end of this year with an inauguration event planned in January, 2011. CEOinsiderTV.com conducts four part interview with Shrink Nanotechnologies, Inc. CEO Mark Baum. MicroProbe, Inc., a leading supplier of wafer test technology to the global semiconductor industry, today introduced the MEMS-based Mx-FinePitch (Mx-FP) product. This new class of probe card tackles the ultra-fine-pitch testing needs of leading-edge SoC and logic devices found in applications like digital cameras, set-top boxes and digital TVs. An innovative new die produced by The Arthur G. Russell Company, Inc. produces large quantities of nano-fibers from PP, PET, PBT and other resins.